A film of a girl circling a horse. A film of a girl looking at a horse. 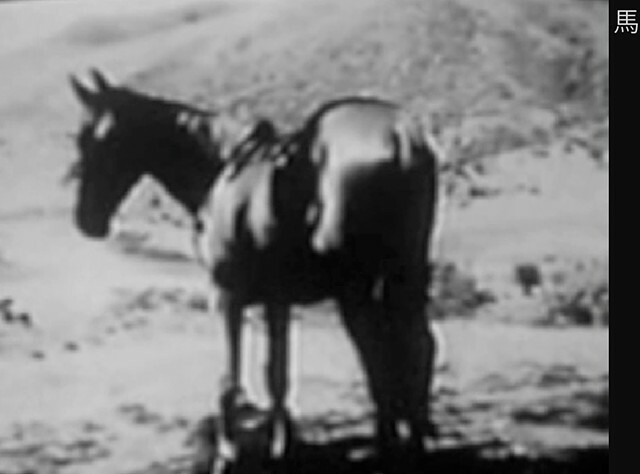 A film of a horse standing, looking back.